Not only can you get free Chick-fil-A next Tuesday, July 14th, but you can also get FREE SLURPEES tomorrow, on Saturday, July 11th! 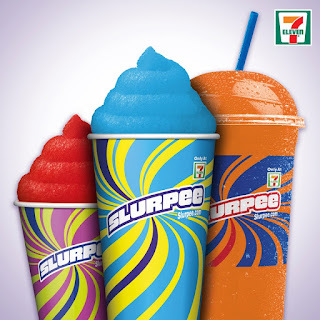 Every July 11th (7/11) 7-Eleven gas stations offer free Slurpees nationwide on the unofficial birthday of the Slurpee. They used to be tiny, but this year they're giving away 12-ounce Slurpees. 11am-7pm. It's the nation's largest convenience store chain. Find a 7-Eleven near you here.